Trichloroethylene (C2HCl3) is a sweet smelling non-flammable clear liquid. Trichloroethylene uses are widely due to its physical & chemical properties. It does not dissolve in water and serves as a powerful solvent. Degreasing of metals, as raw material for other chemicals and oil extraction solvent, are its major applications. One can buy trichloroethylene in small quantity for testing purpose from trichloroethylene online supplier ibuychemikals. 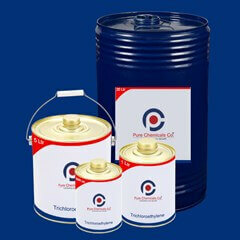 We supply a wide spectrum of chemicals in small and medium quantities in pure grades. 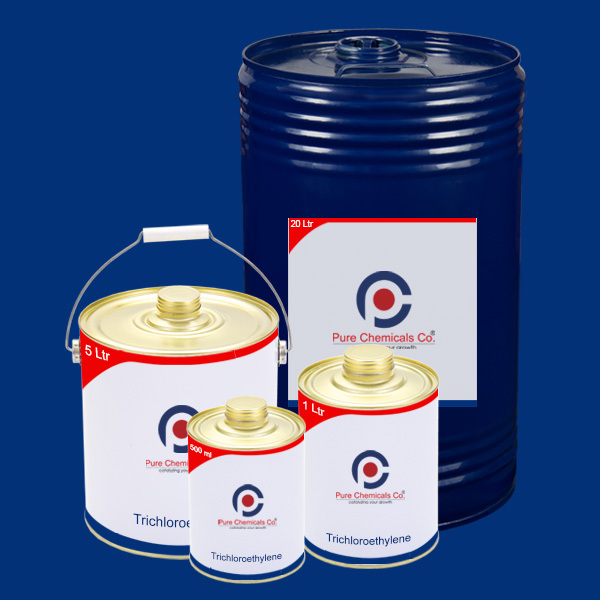 You can buy trichloroethylene in India at best price and get them delivered at your door step , self pick up option is available for customers at Chennai. Trichloroethylene MSDS and COA are sent along with the consignment for safe handling and assurance on quality.